This photo deserves a long slow look. Notice the creases in the old man’s face, the frail wrists and rail-thin body. His clothes are threadbare, but worn with great dignity. 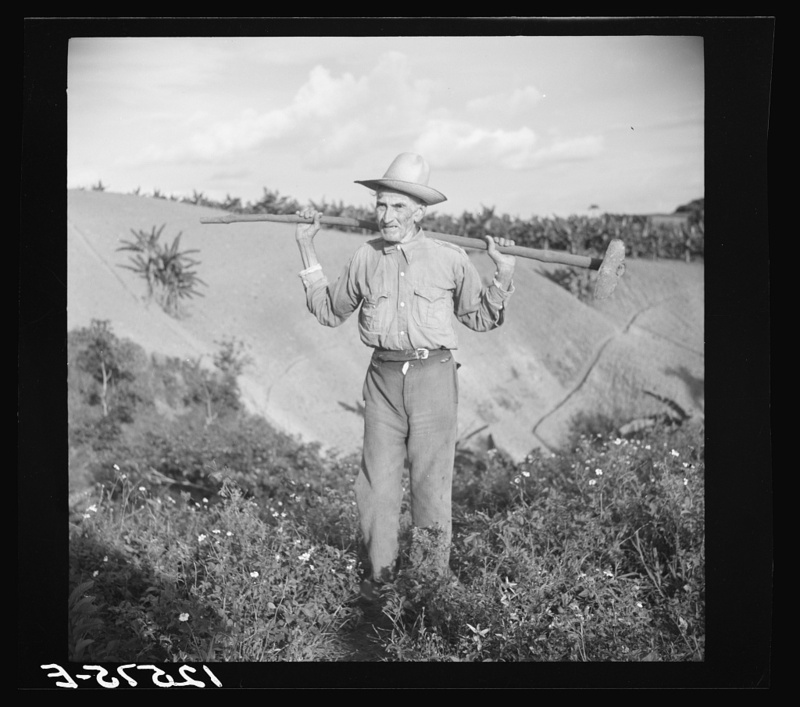 This is a farm worker in 1940s Puerto Rico. He is well beyond retirement age. He didn’t have a pension, retirement plan, or even social security…just a lifetime of hard work for less than minimum wage, in order to feed his family. Like millions of Puerto Ricans…he kept on working, until his body gave out on him. Tell me that Puerto Ricans don’t have a work ethic. Take a look … “This is a farm worker in 1940’s Puerto Rico.” … the “Master” was already there. The farmer didn’t give in!! The Town Of Manati- The birth place of my family is a ghost town. What is happening is a complete destruction of our way of life.